Thirsty Pilgrim: Brussels Gets New (Serious) Bottle Shop. Brussels Gets New (Serious) Bottle Shop. The Malting Pot, not to be confused with Malt In Pot, is well off the tourist track, a block's walk from Place Flagey. That wide open square and its cafés are popular with locals of all stripes, but tourists rarely venture down there. That tells us something about the shopkeeper's hopes straightaway. The shop's official opening is tomorrow, although it appears to have been open in practice at least since April 18. The posted hours are noon to 7 p.m., Tuesday through Friday. Address is Rue Scarron 50. I note the shop's proximity to a few other places worth drinking (last I checked): quiet and divey student bar the Pantin (Chaussée d'Ixelles 355), the popular Café Belga and its (occasionally) sunny terrace on Place Flagey, and the artsy Murmure (18 Rue du Belvédère). A certain guidebook could help you with further details and help me avoid further parentheses. The Malting Pot's inventory should more than please aficionados, with very little, if any, nonsense there. To thicken the plot, there are beers from Schneider, Schlenkerla, Thornbridge, Mikkeller and Brewdog, among others. No doubt more will come. 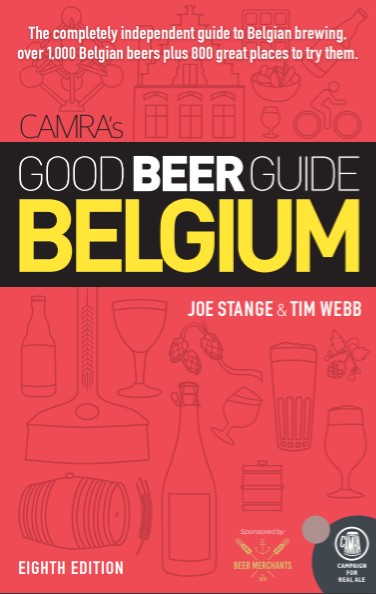 It's yet another sign that Belgian beer lovers are waking up to the international scene. *Hat-tips to Toine and Darin. Malting Pot, The Festival, and Wise Counsel. Brussels as Culinary Amusement Park.